Continuing a detailed look at the lathe, this section covers the tailstock, accessories and anything else I′ve missed. The tailstock is a two part iron casting. A smaller base section that is fitted to the bed and the larger top section that carries the barrel and handwheel. The two parts are keyed together to allow the top section to slide transversely so that taper turning may carried out. The adjustment is made by two allen headed bolts that push the top section one way or the other. 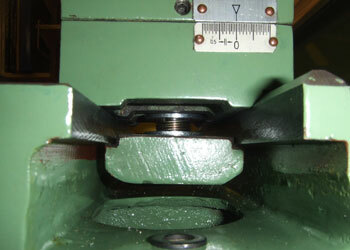 One bolt must be loosened before the other is tightened to push the top section over (1). The tailstock barrel has a 2MT bore and is graduated both metric and imperial (2). The handwheel also is fitted with a friction dial (3). The morse taper is self ejecting but if you have taper shanks with tangs the movement is shortened by the length of the tang. 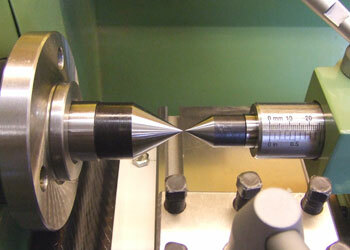 Providing the taper shank tool is only to be used in the lathe tangs are easily removable. I inadvertently used a drill chuck that had a draw-bar thread in the small end. Not a good idea as the tailstock screw fits tightly into the hole and I ended up taking the tailstock to pieces in order to extract the barrel screw from the chuck! Fortunately no damage was done. The tailstock barrel clamp is a nicely made split cotter but I noticed that the top of the clamp screw was tightening onto the the tailstock casting rather than onto the top half of the cotter. You can just make out that I have machined the clamp screw (4) so that there is a small step such that the screw now tightens onto the cotter. I also took the opportunity to adjust the position of the lever when locked, by machining the clamping face down slightly. The lever now clamps pointing to the rear rather than it′s original position pointing forwards. 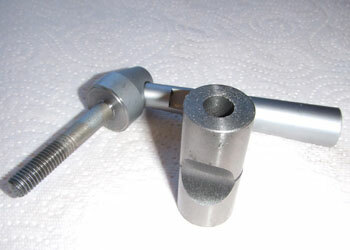 The tailstock is clamped to the bed by tightening a nut with a spanner. This is probably one of the most unsatisfactory parts of the WM 250′s design. The clamp bracket under the bed is a very loose fit (5) and consequently can swing and dig in when sliding the tailstock. 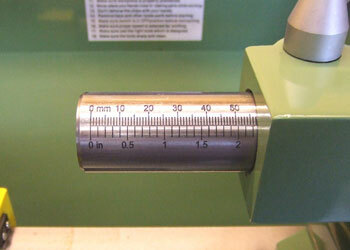 This means that the clamp nut must be left at least a full turn loose which in turn makes clamping up a bit of a chore. 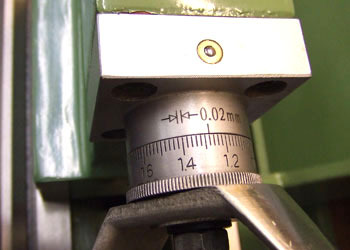 Locking the tailstock is also hampered when close to the saddle as the spanner hits the top-slide. I have improved things slightly by fitting a spring between the clamp and the underside of the saddle (5) and filing the sharp edges off the clamp casting. 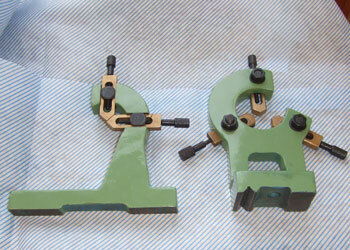 A better solution will be to manufacture a new clamp and suitable cam lever mechanism. (See Cam Operated Tailstock Project). 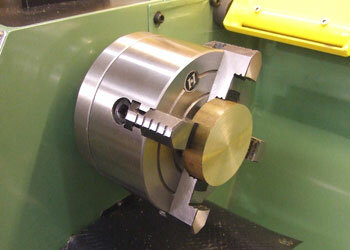 Two centres are supplied with the lathe both solid (6), the MT4 centre weighs about ½kg. 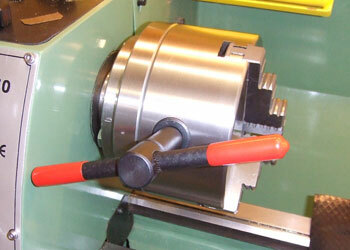 The lathe is supplied with both four jaw independent and three jaw self-centring chucks. Both chucks are approximately 125mm (5") diameter and are fitted with backplates ready for mounting straight onto the spindle. The logos on the chuck faces indicate that they are made by different companies but both appear to be well manufactured, they are certainly very heavy. 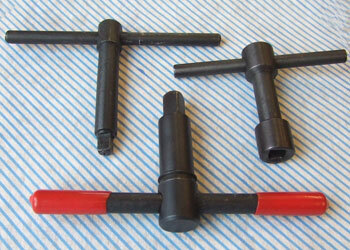 The chuck keys are not made to the same standard but are quite useable. The key for the three jaw was fitted with a spring to prevent it being left in the chuck. I found this very annoying as every time I let go of the key to get a new purchase it threw itself out of the chuck. The spring came off! The shaft on the three jaw key is short so that it can only be used in the vertical position otherwise the handle hits the headstock (7). The four jaw key is slightly longer and can be used vertically or horizontally. The other key shown (8) is for the four-way toolpost screws, it looks like the square hole was made with a pickaxe! The three jaw chuck is supplied with a set of reverse jaws, both sets of jaws are numbered but the chuck doesn't seem to have any markings save for a 0 stamped on the backplate and by the adjacent key hole. I tested the chuck runout with a piece of silver steel in the jaws. The TIR was about 0.08mm (0.004"). The chuck backplate was out by a similar amount. 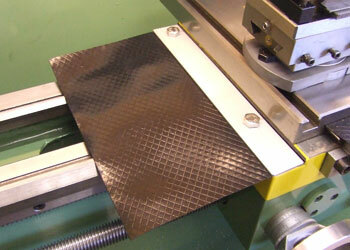 Out of interest I tried the chuck 120° away from the backplate mark and found the backplate to have less runout. The jaws were about the same though. I noticed that the jaws were ground flat and had a very small clamping width (about 2mm). I removed the high jaw and ran it over a diamond hone a few times. On reassembly the TIR was only .02mm (.001"). I tried a couple of different diameter bars and the runout remained pretty similar. The jaws of the four jaw chuck (9) have a wider clamping area than the three jaw and this is ground with a slight curve both on the inside and the outside steps. 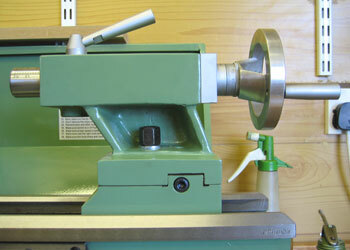 The lathe is also supplied with a 230mm (9") faceplate (10). I haven′t tried this yet but it is one huge chunk of cast iron. The holes in the plate are so large that you would need to use a 15mm bolt to clamp anything to it, time will tell how useful this might be. 12. limited space & fat fingers! Both chucks and faceplate are bolted to the spindle utilizing three studs that are screwed tightly to the backplates or directly to the faceplate. 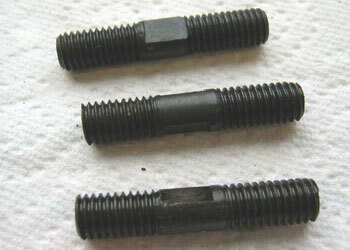 These studs are somewhat variable both in length and finish (11). Most of the studs are too long and I have faced them off so that they are only about one thread longer than the thickness of the flanged nuts that I have used. The flanged nuts make it a bit easier to fit the chuck as it saves juggling with a separate washer in the limited space between the spindle flange and the headstock (12). Two steadies come with the lathe, fixed and traveling (13). The traveling steady bolts to the top of the carriage in front of the cross-slide. The fixed steady is clamped to the bed and when I first used it I found that carriage collided with the base of the steady. I shaved about 1mm off the offending side you can just make out the machined step under the paint (14). This slight modification allows the saddle legs to go either side of the steady. 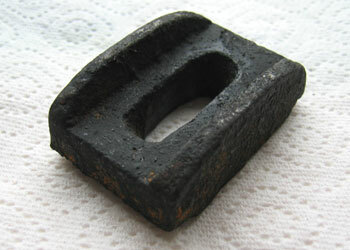 The soot blackened and rusty lump of cast iron (15) is I think meant to be the clamp for the fixed steady. I tried to clean it up with a wire brush to no avail, I will have to take the angle grinder to it. 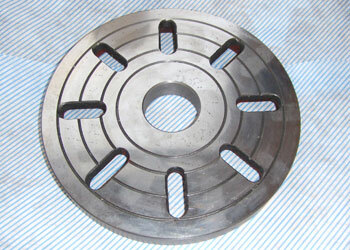 The holes for mounting the traveling steady are prone to filling up with swarf. I had already put a couple of bolts in the holes to prevent this. I thought it might be useful to go a stage further and prevent some of the finer swarf getting into the various allen bolts and oilers on the front of the carriage and whilst about it try and keep some of the worst mess off the bed and out of the leadscrew. A piece of damp proof course material stuck to the underside of an aluminium plate with double sided tape and held in place with the two bolts I had been using to fill the steady mounting holes (16). 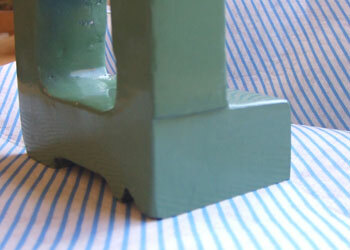 The DPC material is quite stiff so stays flat to the bed but bends nicely when it hits the headstock. 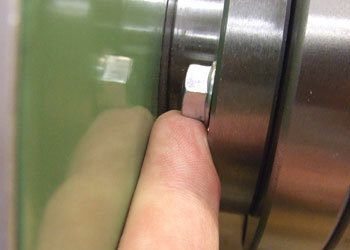 The bolts are just finger tight so it′s easy to remove for maintenance or to use the steady. Then again if it had all that it would cost twice as much! Download a PDF copy of the manual (14MB) Please note later models of the lathe are quite different! Well the lathe has been in use for a few years now, it hasn't seen a huge amount of use but has done everything asked of it without any problems. In fact the only minor problem has been an oil leak from the gearbox. I tracked this down eventually to what can only be described as porous Chinese putty. The sight glass (plastic) is held in place by some sort of putty / filler that after a couple of years began to let the oil seep through, at first I couldn′t make out where the oil was coming from as it was seeping behind the aluminium face plate and dripping out at the bottom leading me to believe it was the gasket around the cover that had failed. The fix was easy, scrape out the failed putty with a screwdriver, clean up with some white spirit to get rid of the oil and refill with some clear silicone sealant. The lathe is supplied by Weiss Machinery in Nanjing, China, who purchase from a number of manufacturers working to the same design. The manufacturers designate it as the WM250V. Since I bought my lathe there seems to be a few more suppliers about. Chester UK Ltd call it the DB10VS, Amadeal advertise it's bigger brother as the AMA280VF. Toolco supply it as the 1022GV and also supply a belt drive version the 1022GB. Weiss Machinery Europe B.V. in the Netherlands stick to it's WM250V designation. Available in Australia from Engineering Tooling Supplies Pty Ltd as the WM 250V. Busy Bee in Canada also supply Weiss lathes as the CX700/701 and CX600/601. In Germany Optimum Machinery GmbH sell the Opti D240 x 500 DC Vario or a belt drive D 240 x 500G I am not sure though if this is from Weiss. The WM 250 is one of a series of lathes that start with the WM180V, which for want of a better description is a heavy duty mini lathe, up to the WM280FV which has powered cross-feed. The latest model of this lathe is now being supplied with a Variable Frequency Drive (VFD) and 1.1kw AC motor (presumably 3 phase). This apparently improves the torque at low speeds which should now go down to 30rpm, and makes for a smoother drive. The VFD drive will also remove any problems arising from worn and broken brushes which have been reported for the older DC motor although mine are still working well. I do not look forward to a brush change as the lathe is tight up against the wall and will have to be moved to get at the motor. The newer model also has power cross-feed, which is something I wish I had on my venerable model. The power cross-feed adds another oil filled gearbox below the apron. The older model is still available though so check carefully which model is best for you.